I have to say, I am not a football fan. The Superbowl is the only football game I watch all year. But there are some events that just seem to inspire interesting and delicious foods, and the Superbowl is one of them. I love Superbowl snacks: sliders, nachos, jalapeno poppers. But this year, I was hit by an idea to make each of these into a dessert form. Don't worry, I didn't make jalapeno buttercream or anything... (although that doesn't sound half bad)... I just made desserts that look like their savoury counterparts. The slider has, of course, been done before. I didn't come up with this little guy. But I am still super proud of the way he turned out. That's right, sometimes I personify my food... Cupcake bun, brownie meat patty, buttercream ketchup and mustard, and coconut lettuce. But the nachos and jalapeno poppers are ideas of my own... at least, I have never run across these before. 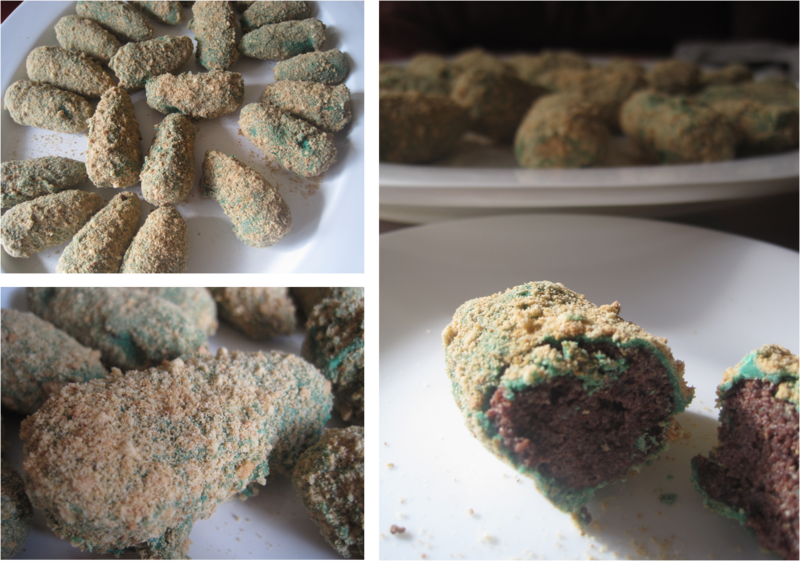 The jalapeno poppers are really jalapeno cake poppers. They are in fact s'mores flavoured cake pops. Chocolate cake mixed with marshmallow buttercream, shaped into popper form, dipped in green candy melts and rolled in graham crumbs to resemble breading. 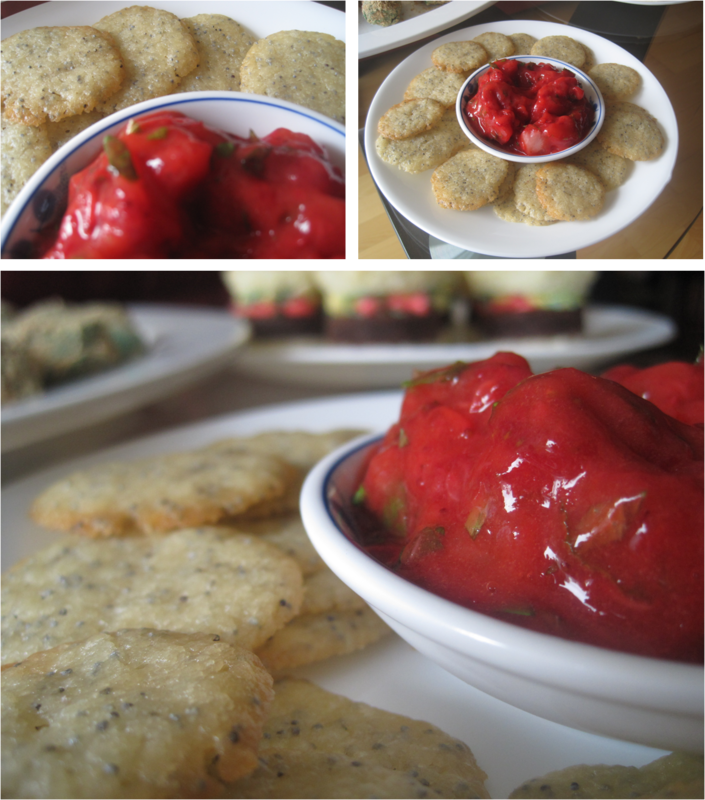 The "nacho chips" are vanilla crisp cookies with poppy seeds and the salsa is strawberry puree with mint "cilantro". Has anyone else made any original desserts that look like savoury foods? I'd love to see! Or else I hope these inspire you to think outside the baking box. Have a delicious Superbowl Sunday!